Christmas Shopping kicks off in Seven Dials. 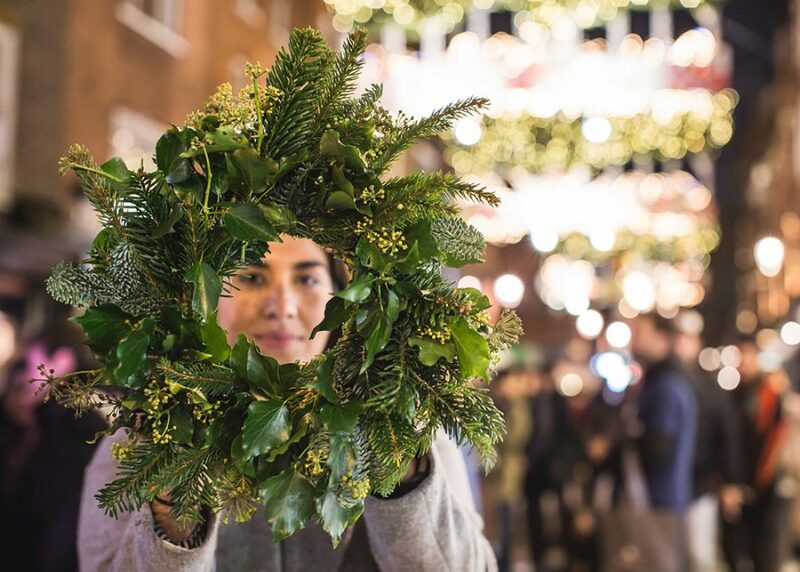 On Thursday 15th November, Seven Dials invites shoppers to celebrate the beginning of the Christmas season with a festive light switch-on and shopping event including live music from the impressive 16-piece EP Orchestra, free wreath making workshops, Seven Dials curling rink, alfresco Christmas cocktail bar, and a host of exclusive brand experiences and discounts. The switch on moment will take place around the iconic Seven Dials monument at 6:30pm, with contemporary renditions of Christmas classics and chart hits from EP Orchestra. Guests can also try their hand at everyone’s new favourite winter sport, curling, with a special pavement-side rink on Neal Street – London’s only one – in addition to a host of free experiences; including free wreath making on Earlham Street, a free Taxi Photo Booth on Monmouth Street as well as eco-friendly glitter make-overs on Monmouth Street. In aid of charity partner Covent Garden Dragon Hall Trust, there will be a Christmas-themed tombola with chances to win fantastic prizes from a host of Seven Dials brands. Shoppers can enjoy exclusive 20% discounts, promotions, activations and limited-edition menus from more than 80 brands and restaurants including; Kiehl’s, Duke + Dexter, Farah, Diesel, Benefit, Neal’s Yard Remedies, Wildwood Kitchen, Boki, Tredwells, Hotel Chocolat, Knomo, Tatty Devine, Boki, Hawksmoor Seven Dials and The Escapologist. This year personalised gifts are big. 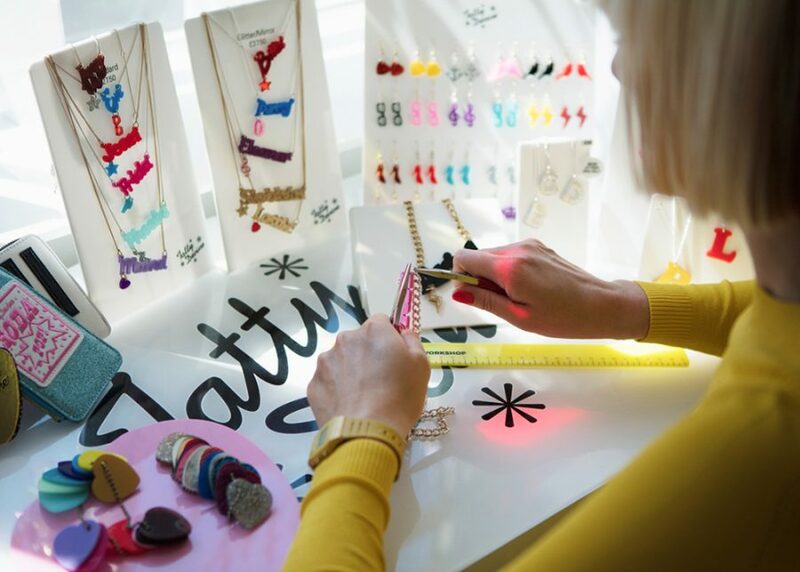 Head to Tatty Devine for a personalised necklace; choose from colours, fonts, charms and it’s ready in half an hour. 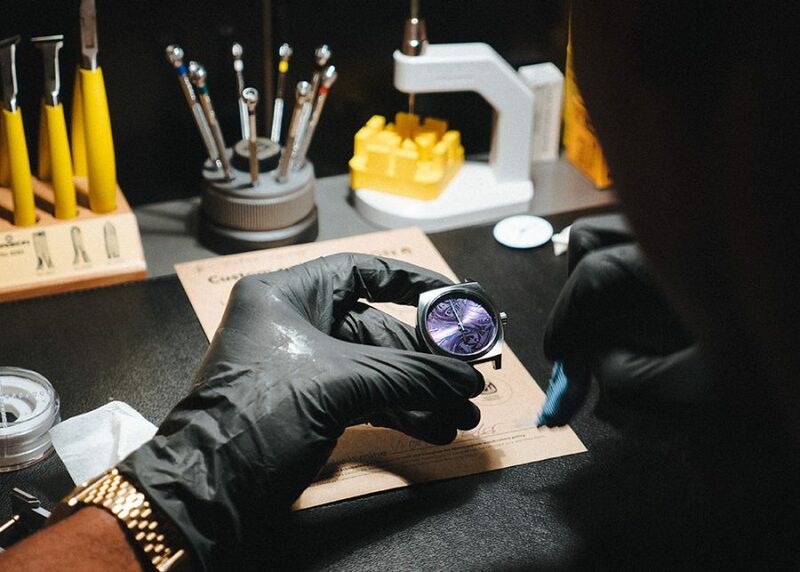 While you wait for it be lovingly crafted, head over to Nixon for the ultimate watch-personalisation experience. Here you can choose straps, faces, hands, and create your perfect timepiece. You can even get the back engraved so the lucky recipient will never forget who gave it to them. 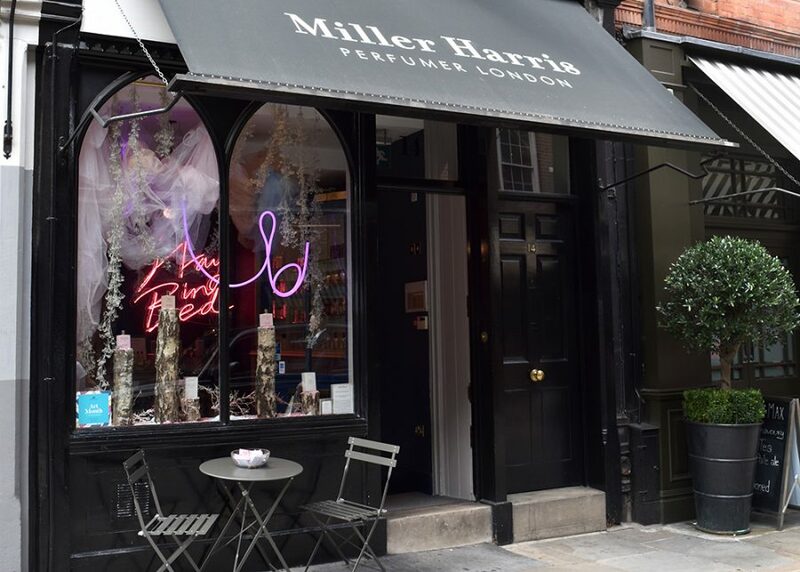 If you’re unsure what kind of perfume your beloved might like, Miller Harris will walk you through their fragrances, using all your senses to evoke memories and feelings and guiding you to the perfect scent. With beautiful store displays and enticing candles and gift-sets you’ll walk away laden with goodies. After all that shopping head for a free ‘Monmouth Fizz’ at Monmouth Kitchen’s pop-up bar on Earlham Street to toast the new festive lights and start the Christmas season. Seven Dials, the seven interconnecting streets that nestle between Covent Garden and Soho, is the perfect location for Christmas shopping; with quality British brands, high profile international labels, one-off flagship boutiques, beauty and grooming salons and a wealth of individual award-winning restaurants, there really is something to tick off everyone’s Christmas list in this unique London village. 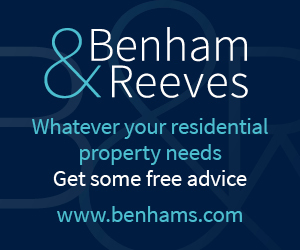 Thursday 15 November, 5-9pm Lights switch on, 6.30pm.